North Korea's leader Kim Jong-un declined to provide the country's list of nuclear facilities to US Secretary of State Mike Pompeo until the signing of the declaration ending the Korean War of 1950-1953, he said. the media citing sources. 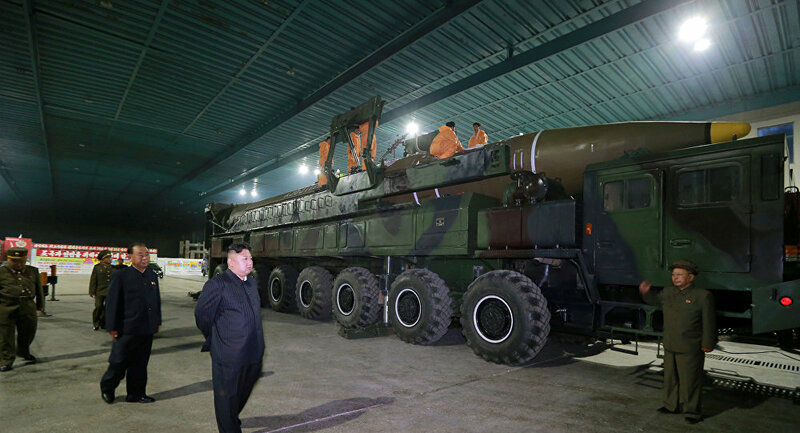 When asked to provide at least a partial list of nuclear facilities, Kim allegedly said that in the absence of trust relations between Washington and Pyongyang, the United States will not believe the list. The Korean War ended with the armistice, but a peace treaty was never signed. During a recent meeting in Pyonyang, Kim and Secretary of State Mike Pompeo agreed to lead working groups to discuss the four points of the document signed in Singapore, the State Department reported last week. The secretary said after his recent meeting with the North Korean leader that the path towards the goal of denuclearizing Pyongyang had become clearer. Kim invited inspectors to visit the Punggye Ri nuclear testing site to confirm that he was irreversibly dismantled. The North Korean leader and Pompeo agreed to keep operational level teams meeting in the near future to discuss other unresolved issues at the Singapore Summit. The situation on the peninsula has improved this year since leaders in North and South Korea began bilateral talks that resulted in a joint agreement to reach a peace treaty. In June, Kim and Trump signed a text demanding that Pyongyang be denuclearized in exchange for sanctions relief and the suspension of North Korean and South Korean military exercises. However, in July, US National Intelligence Director Dan Coats said that North Korea is unlikely to dismantle its nuclear program within a year. US media have previously reported Pyongyang continuing to develop its nuclear program and trying to mislead the United States about its denuclearization efforts. Pompeo made a three-day trip through eastern Asia earlier this month with a mission to move forward in the process of denuclearization of the Korean peninsula and to establish the next summit between Kim and US President Donald Trump.